Andy has been exploring landscapes across Scotland for two decades. A dedication to, celebration of, and involvement in the cultural and natural environment is intrinsic to all his work. 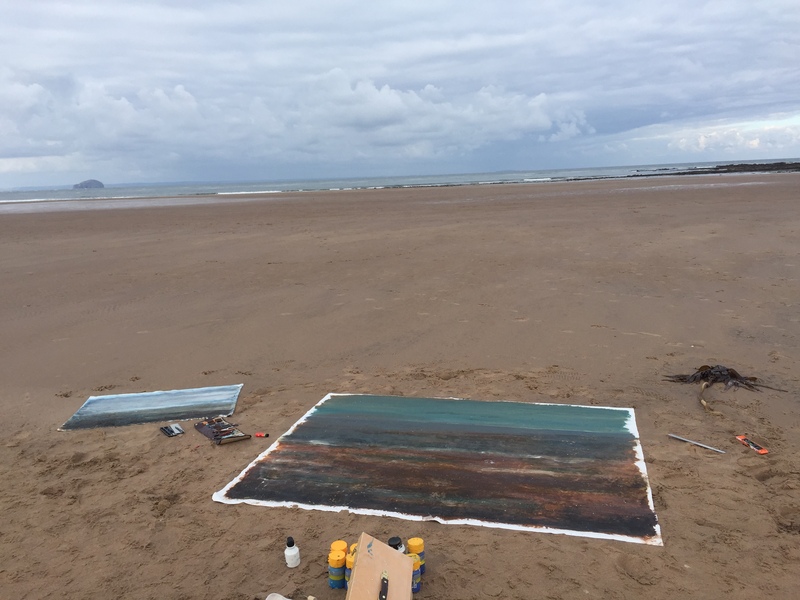 Andy often paints en plein air and begins by using acrylic, sand, clay, plants and emulsion. He then creates the finished work by excavating the canvas, the earlier media scratched and scrubbed off with pencils to create the final, abstract pieces. When painting he is drawn to the ever-changing appearances of our shared environment and attempts to catch these fleeting moments and elements. His primary influence is the spontaneity of nature – the inseparable response to sea, cloud, sun, season and weather. Andy attempts to reflect these fresh interactions by painting rapidly; the paint and media driven, splashed, scrubbed or dripped over the canvas in an attempt to capture the raw experiences of nature. 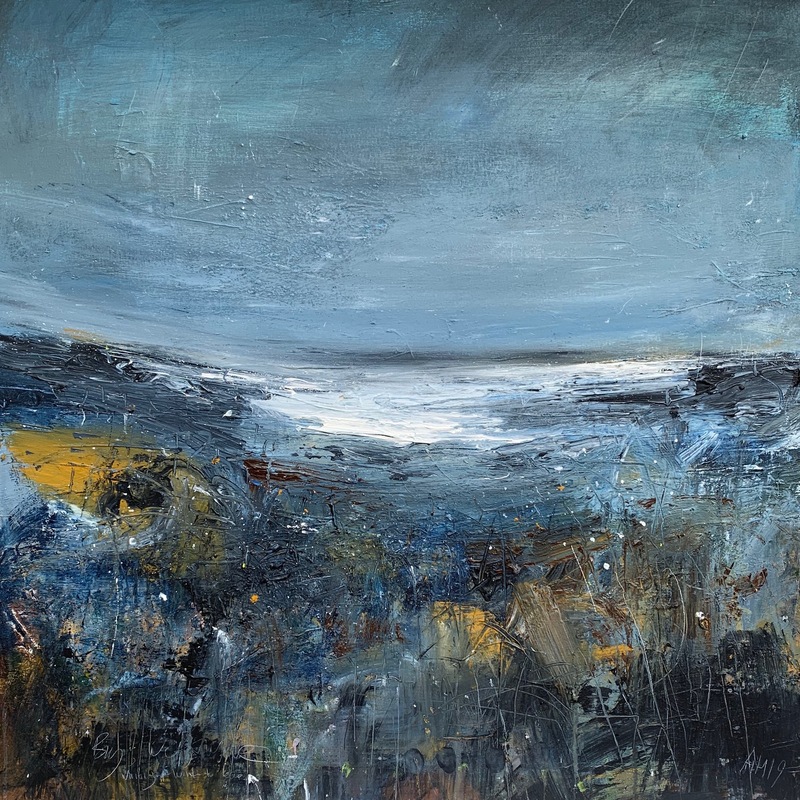 In Andy’s paintings there is always a landscape or seascape element but often the need to quickly capture what is before his eyes is more important, as is documenting his own interaction and attitude with a particular time and place. Andy’s work has been described as ‘elemental abstract art’. Andy regularly exhibits in galleries across Scotland, primarily in and around Edinburgh, East Lothian and the Scottish Borders. His work is in private and corporate collections across the UK.